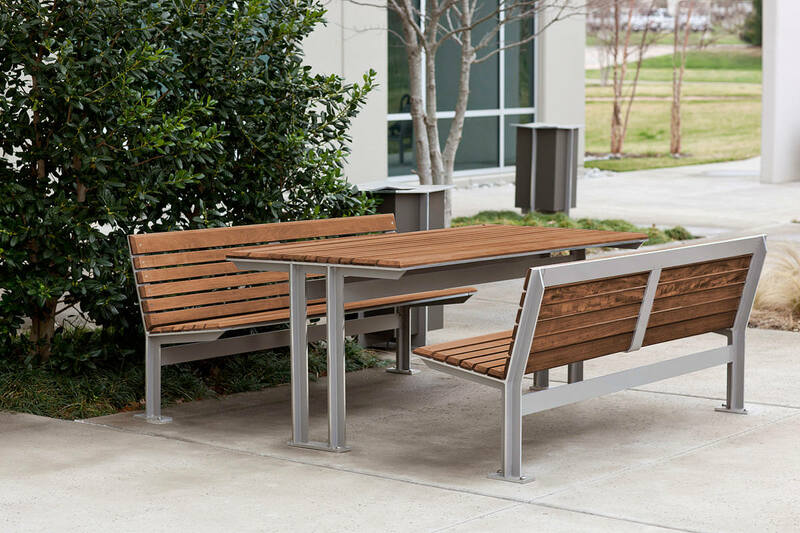 Like the rest of the Knight line, Knight Table Ensembles combine understated refinement, rustproof construction, and durable high-performance materials. In addition to the Table Ensemble, the family includes backed and backless benches, litter receptacles, illuminated and security bollards, and pedes­trian lighting. Knight Table Ensembles consist of a table and two backed or backless benches, all in 6’ lengths. An ADA-compliant version with one shorter 36” bench permits unhindered wheelchair access to the table. 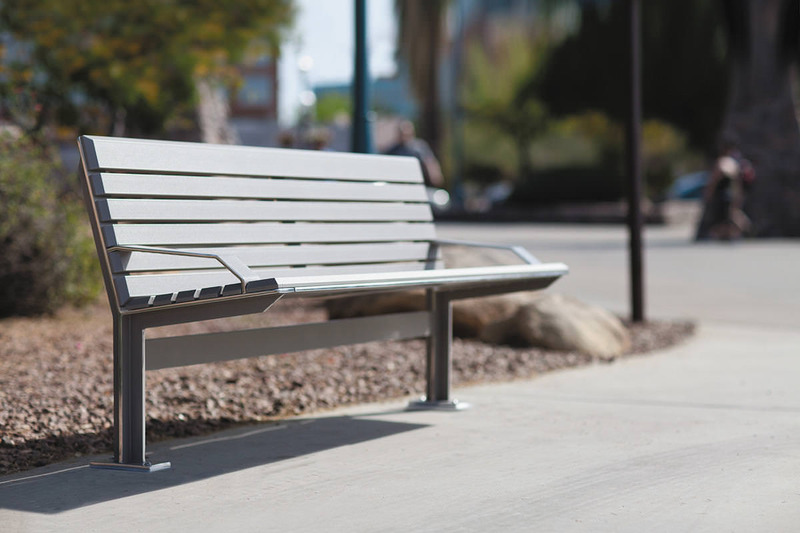 Table and bench frames are beautifully detailed solid aluminum. Outer frame edges are polished; inner surfaces have a powdercoat finish. 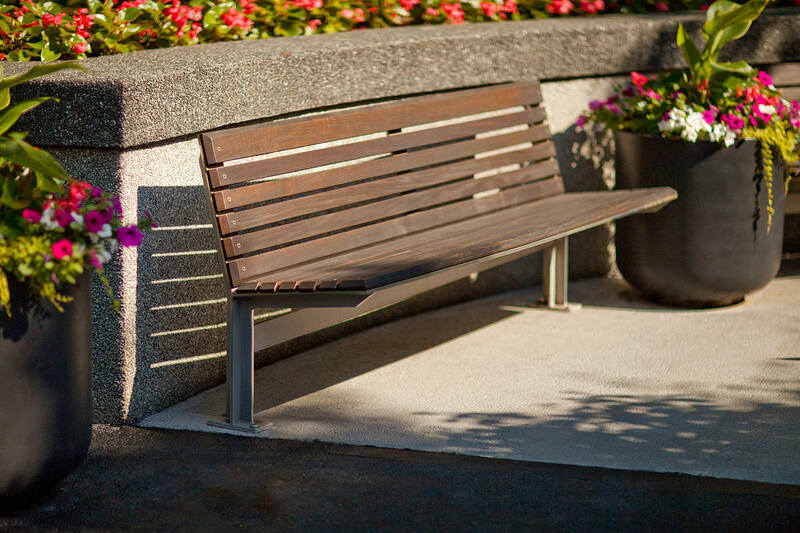 The new aluminum slat option is in addition to the original FSC® 100% Ipé hardwood slats – still a beautiful choice. 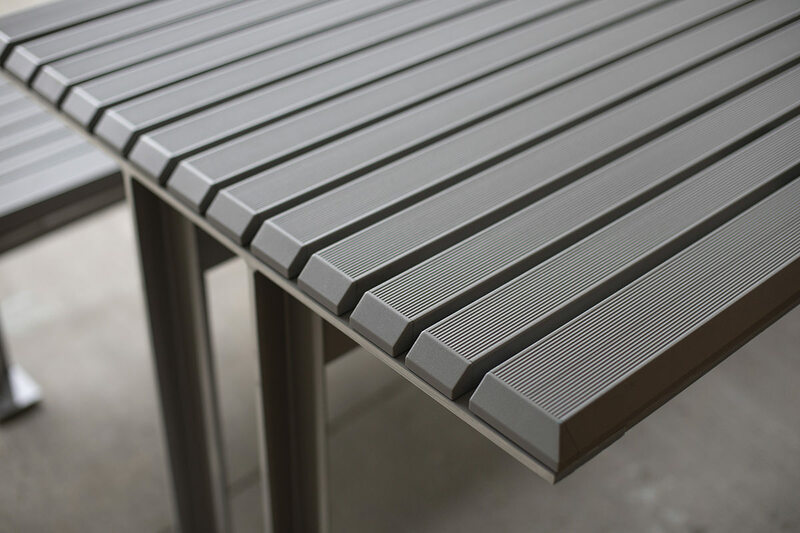 The extruded aluminum slats have a powdercoat finish and a lightly grooved surface for enhanced appearance and non-slip feel. 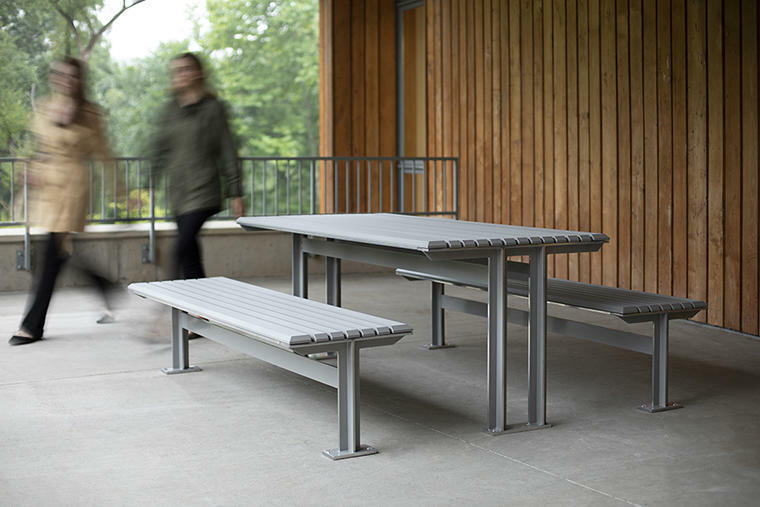 The aluminum slat option gives you more ways to tailor your seating designs to project-specific material themes. You can now carry the Knight aesthetic into all-metal table ensembles, or go with more traditional wood-and-metal configurations. The choice is yours. 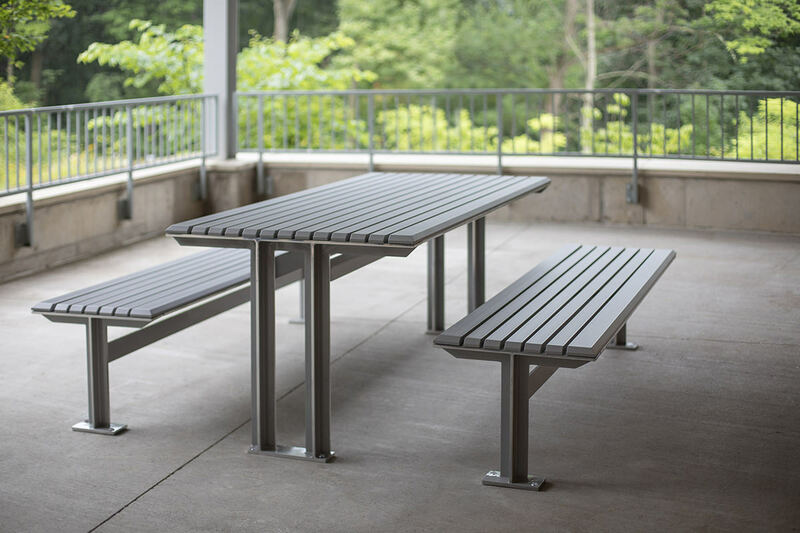 The new aluminum slats also offer more visual alignment between Knight Table Ensembles and Benches. 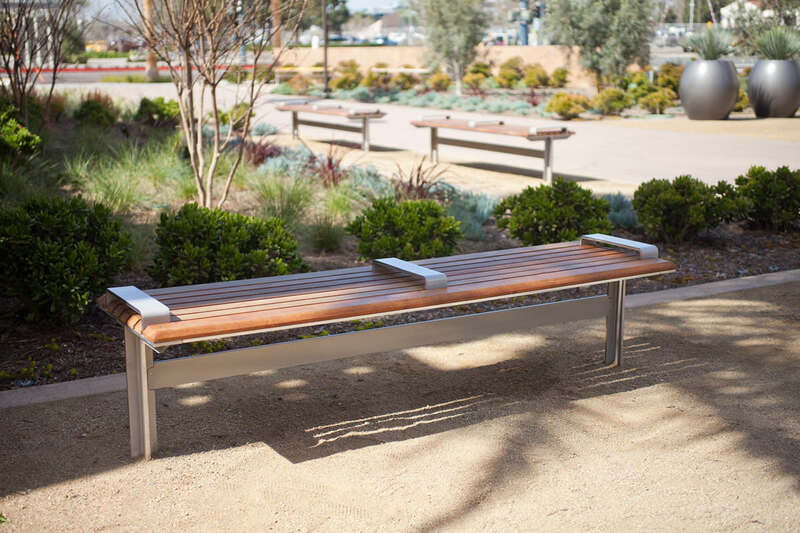 Knight Benches can be specified with the same wood or aluminum slat options as the Table Ensembles. And, like the Table Ensembles, they’re available in backed or backless configurations and with optional armrests and/or seat dividers. Together, Knight Table Ensembles and Benches give you numerous ways to bring groups together, offer a place to rest and relax, or simply invite people to take a seat. For more about Knight Table Ensembles and to meet the entire Knight Family, visit our Knight Family page.